Need to entertain the family? Come skating! Great fun, fitness, the latest music and the coolest skating games under the flashing disco lights. The most popular skating session, the disco plays the latest music with loads of fantastic games during the night. 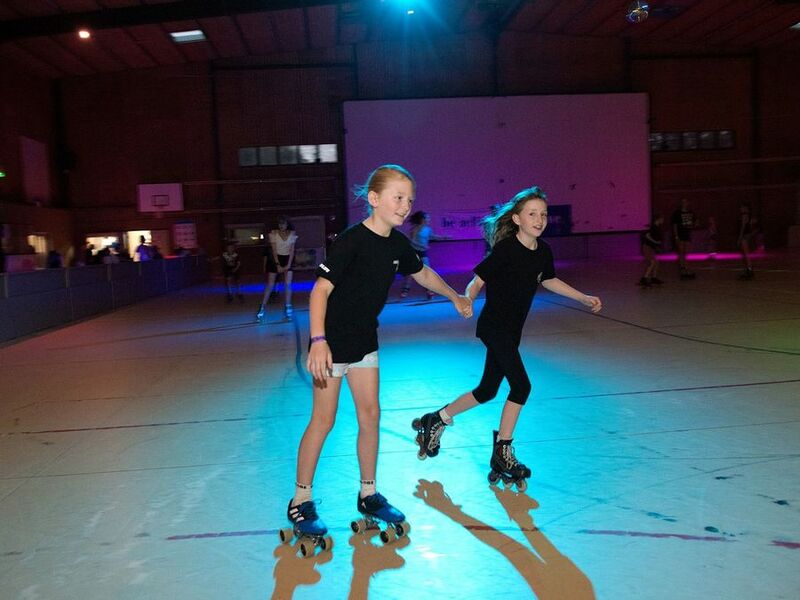 So come skate under the flashing lights for the most fun on wheels! Friday Night Skating is not a lock-in event, children under the age of 10 must be accompanied by an adult/guardian over the age of 16. There is $5 Spectator fee for anyone under 18 years of age who is not accompanied by an adult (ID maybe requested). Spectator entry is still FREE for adults or children under the age of 18 who are accompanied by an adult (ID maybe requested). Learn the basics of skating with Gawler Skating Club Star class between 9am - 10am. * This family skating session comes with instructors, tutorials on skating techniques and stopping plus music and games. It is great for new skaters for a fun time for the whole family. Latest music and coolest games on wheels for school holiday fun! Bi-monthly, the Gawler Sport and Community Centre have a Theme Night skating session. Come dressed in costume at the months theme for your chance to win prizes! Click here to view our Easter Theme Skate details, Friday 12 April 2019. Dont forget... Get your passport stamped at each Theme Night for your chance to win a IPAD. Limited hire skates so get in early. All Theme Skates are not a lock-in event, children under the age of 10 must be accompanied by an adult/guardian over the age of 16. There is $5 Spectator fee for anyone under 18 years of age who is not accompanied by an adult (ID maybe requested). Spectator entry is still FREE for adults or children under the age of 18 who are accompanied by an adult (ID maybe requested).